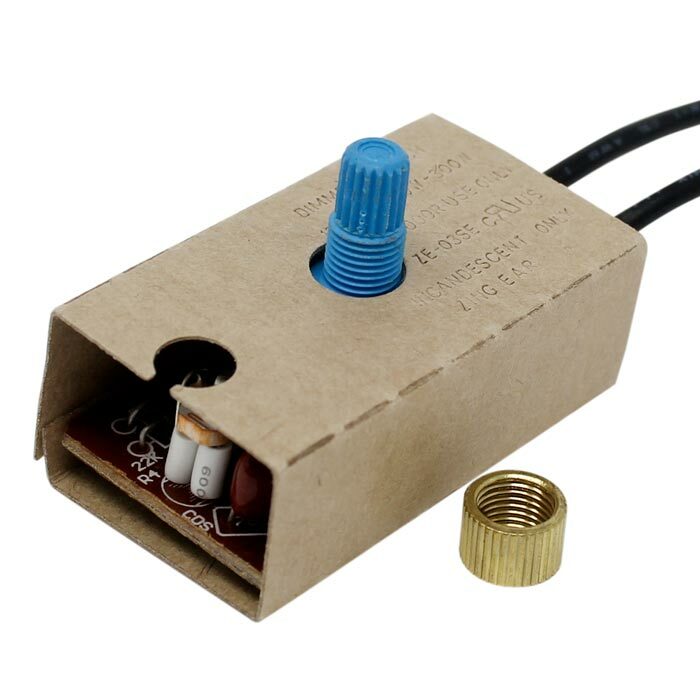 Includes a photocell sensor to automatically turn light slightly on in dark spaces for indication. Provides full range dimming with on/off settings. 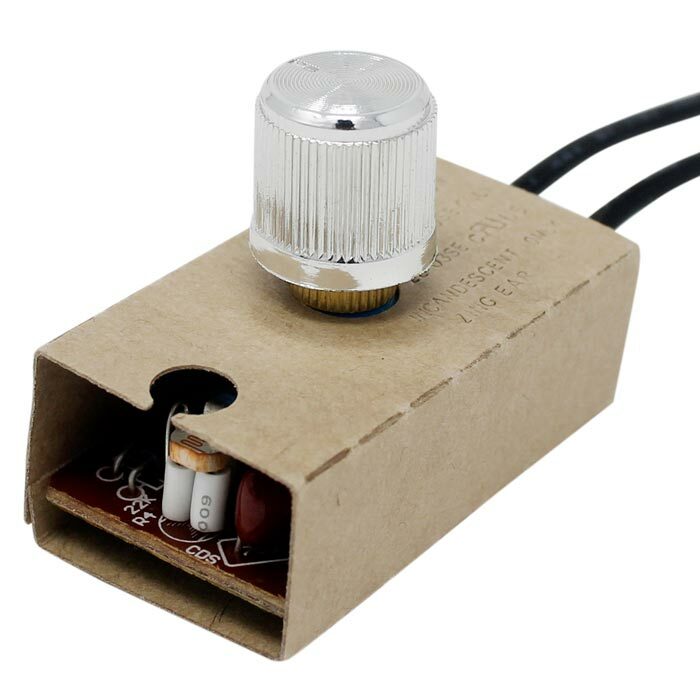 This lamp dimmer switch supports incandescent, halogen & dimmable LED light bulbs. 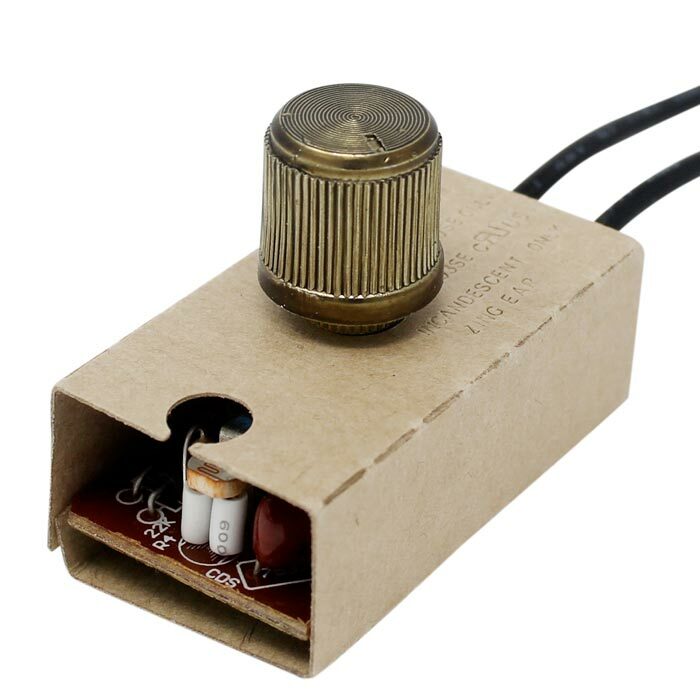 Turn knob available in Brass, Antique Brass, and Nickel. Zing Ear ZE-03SE is UL approved therefore it can be safely integrated into any table lamp or light fixture in USA and Canada. 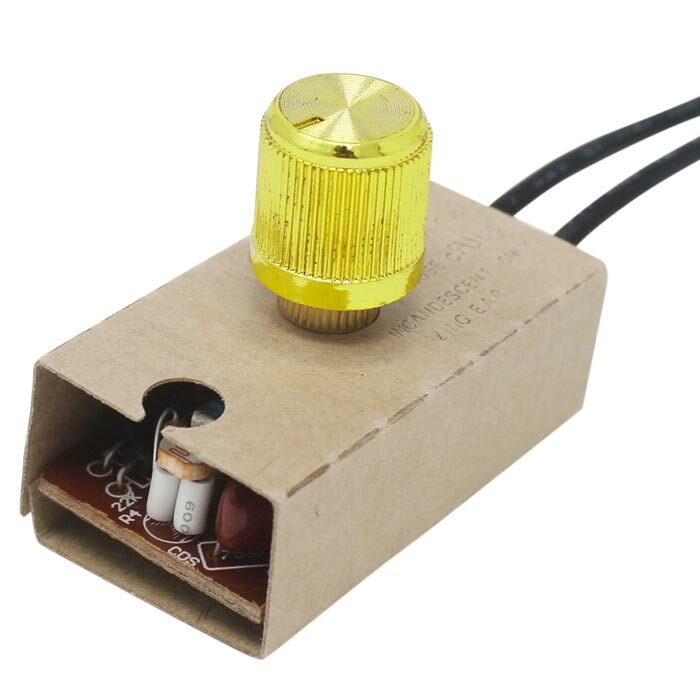 Zing Ear ZE-03SE is a lamp dimmer switch used in many indoor table lamps. 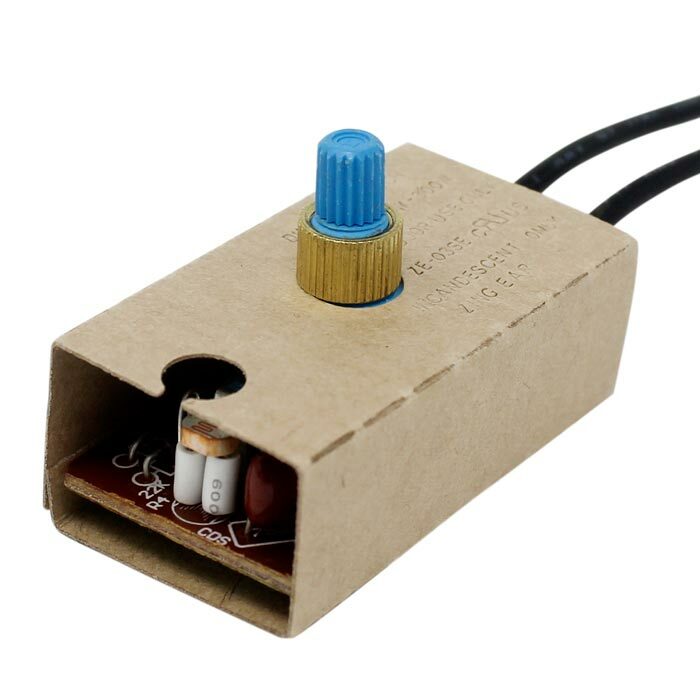 This inline lamp dimmer switch module provides full range dimming with on/off settings. 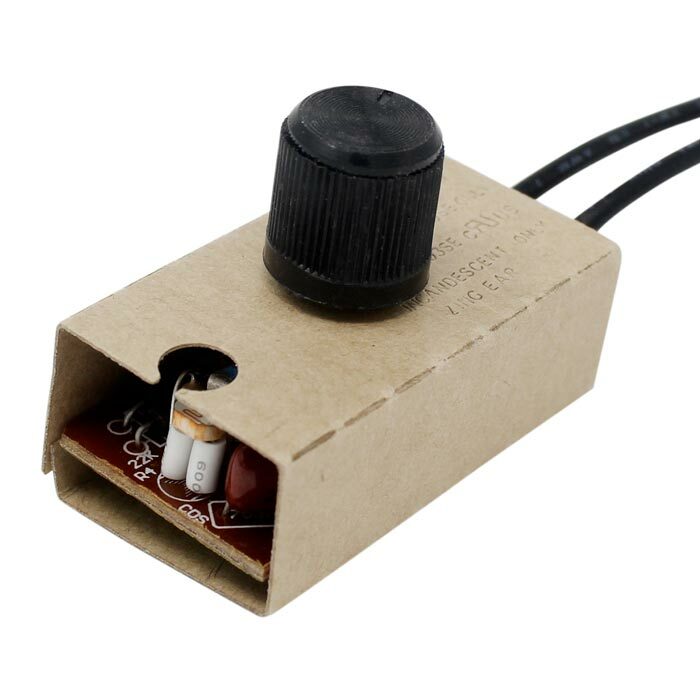 Zing Ear ZE-03SE series features a photocell light sensor used to automatically turn table lamp light on at night or in any dark space for indication and make it act as a nightlight (automatic mode). If more light is desired, then use the turn knob on the switch to control brightness (manual mode). Zing Ear ZE-03SE has been tested with dimmable LED light bulbs and the results were sufficient. Non-dimmable LED light bulbs are not supported; they may not work at all or have symptoms of functioning improperly such as flickering or buzzing. This lamp dimmer has an aluminum heat sink designed to prevent the risk of fire. 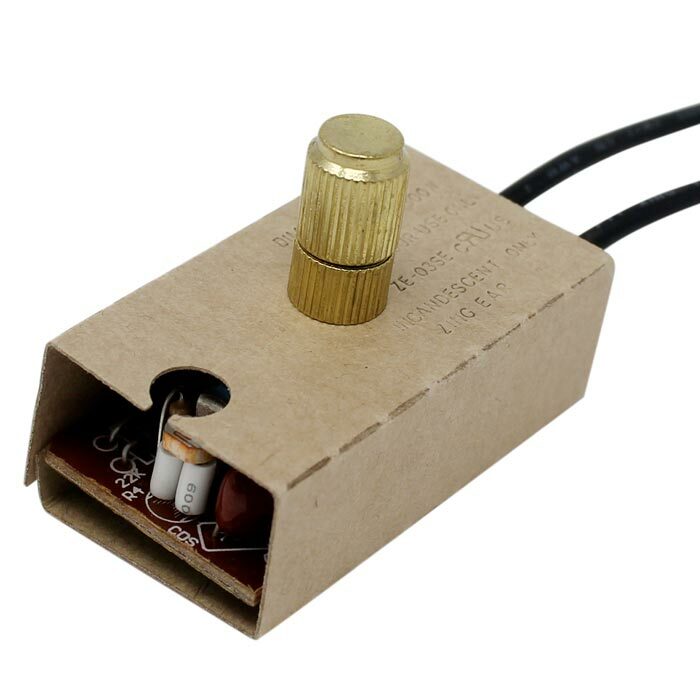 For simple step-by-step installation, the wiring diagram is included.